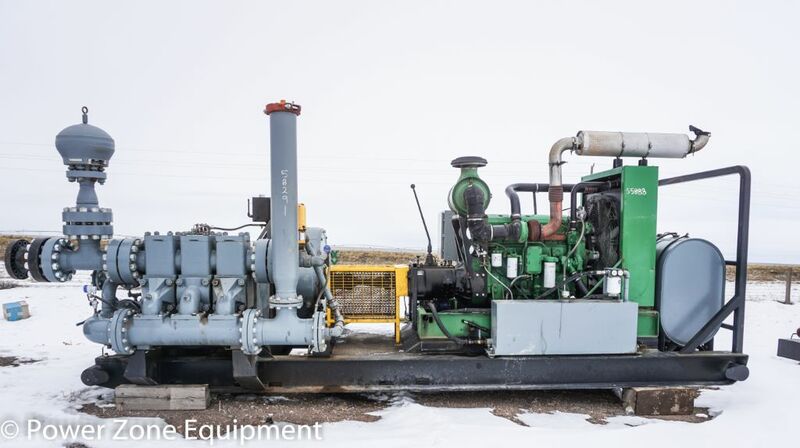 Description: FOR SALE OR RENT: REBUILT: Complete skid mounted 8" stroke triplex pump with aluminum bronze fluid end, 5" steel plungers, 6.86:1 rebuilt gear reducer, rebuilt John Deere 6125 diesel engine, Eaton transmission, new MCM series 250X hydraulic driven charge pump, Hydril discharge dampener, suction stabilizer, plunger lubricator with day tank, shear pin relief valve, fuel tank, and hydraulic tank. Package has engine controls and Siemens PLC, low oil transmitters, oil pressure transmitters, oil pressure gauges, low suction transmitter, high discharge transmitter, and fluid levels for all components. Weight is 28,480 lbs and is 249" long x 116" wide x 112" high.